I was going to do Bunnies and Burrows today, but I wanted to stick a little closer to my home turf for this one. BTW if you like, check out Bunnies and Burrows. It really is a classic and a piece of RPG history. But today I want to talk about Basic Clones. In the OSR (Old School Renascence) a Basic Clone is a game that emulates the rules of Basic D&D, or about the time frame of 1978 to 1984. I talked about the D&D Basic Game last year and ACKS yesterday. In fact I talk so much about it here it has it's own label, Basic. D&D Basic was always my favorite system for quick and fast play. 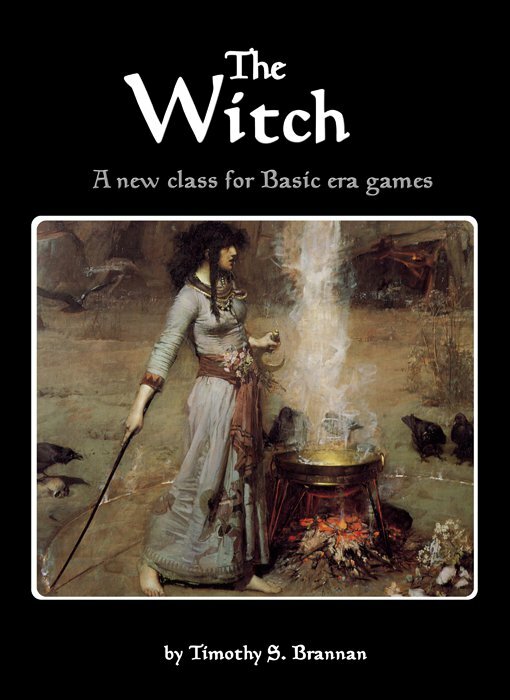 D&D Basic has been long out of print and usually can only be found at places like Noble Knight Games or Ebay. So I was thrilled when the Basic clones began to come out. Basic Fantasy is one of my favorites. It is a simple game that covers the Basic D&D feel, but incorporates ideas from the later Advanced D&D game. Namely is splits up race (elf, human, dwarf) and class (fighter, cleric, magic-user). In other words it was D&D like how I used to play Basic D&D anyway. It is flexible, easy to use and totally free. Labyrinth Lord is the biggest and arguably the most popular Basic clone. It is closer to Basic D&D than BFRPG is, but for me it lacks a little of the charm. Not to say that LL isn't great, it is and both lovingly sits on my shelf. Dark Dungeons is another Basic clone aimed at emulating the old Rules Cyclopedia. It is a good effort but feels a bit off to me. Can't quite figure out why though. Last year I also talked about the Companion rules. When the B/X version of Basic came out we were promised a book called the Companion rules that would take characters from 14th level to 36th level. We did get one, but is was part of the BECMI version of Basic and thus not 100% compatible and you would have to be a HUGE D&D geek like me to even care about the differences. Or you have to be these guys, since they wrote their own. B/X Blackrazor came out with his B/X Companion which I have talked about extensively here and is currently sold out. But it is a great book. Another book is called the Companion Expansion by Barrataria Games. It didn't get the same level of hype as the B/X Companion, but it covers much of the same ground. I have not looked at them together to see how they cover similar topics, but they seem very compatible. You can get the PDF of Companion Expansion for free at DriveThruRPG and a print copy for 16 bucks at Lulu. My love for Basic D&D and the Basic clones is what prompted me to make my new witch book, The Witch, for Basic Era Games. Look for that later this month! I be here and enjoying the reading! I don't know how you have so much patience to do so many links! I believe I am going to thoroughly enjoy your A to Z Challenge posts. I am an avid gamer, and I enjoy the RPGs the best! Can't wait to read more! I don't play RPG, but my brother always did, and my sons are starting to show an interest in them. I'm looking forward to reading your posts and finding a game they would enjoy! Great choice for 'B' - inquiring minds want to know what sort of weapons you most like to use. Just because I'm a curious sort. Can't help it. @Kayla: Thanks I hope I have enough here to keep you coming back. @Adrienne: LEt me know what sort of books/movies/games they like and I'll do my best to make some recommendations. @Julia: Since I mostly play witches and wizards my weapon of choice is magic! Bah, just spotted loads of articles starting with B coming up on the RPGBA RSS feed reader and wondered what was going on. Obviously I've had to check them all out, and as Tim's is the last of the three, I followed the "a to z challenge" tag to check out what it's all about. Thanks so much for stopping by my blog. I'm looking forward to getting to know you better. I hope your month is great with the AtoZ challenge! Anniceris covered Bunnies and Burrows. Potential downside? It's in French. I assume that D&D is Dungeons and Dragons.... I remember a lot of boys being into this as a kid. Now, I don't hear much about it, my boys are consumed with Skylanders and Lego Hero Factory characters. Good to know D&D has not been totally forgotten. Interesting. Never heard of these games, nice diverse blog! It's a "Role Playing Game". Typically a game played by 4 or more people where you take on different roles while working through some sort of story/plot/adventure created by another player. Dungeons & Dragons might be the most well known, but there are 1000s of others.